In a Feb. 9 filing with the U.S. Securities and Exchange Commission, Mountain View, California-based Google confirmed what had been widely presumed — that it was responsible for the lion’s share of the recently announced billion-dollar investment in rocket builder SpaceX that included Fidelity Investments. Hawthorne, California-based SpaceX, in addition to building and launching rockets, has announced plans to open a satellite manufacturing facility in Seattle whose most immediate task will be designing and building a constellation of Internet satellites in low Earth orbit. SpaceX is also modifying its Falcon 9 launch system to return the first stage for reuse after each launch, a development SpaceX says could result in a material reduction in launch costs. It is the Internet delivery satellite project that was presumed to have attracted the attention of Google, which is investing in a multitude of broadband platforms including terrestrial fiber and the Project Loon idea of providing Internet from stratospheric balloons. 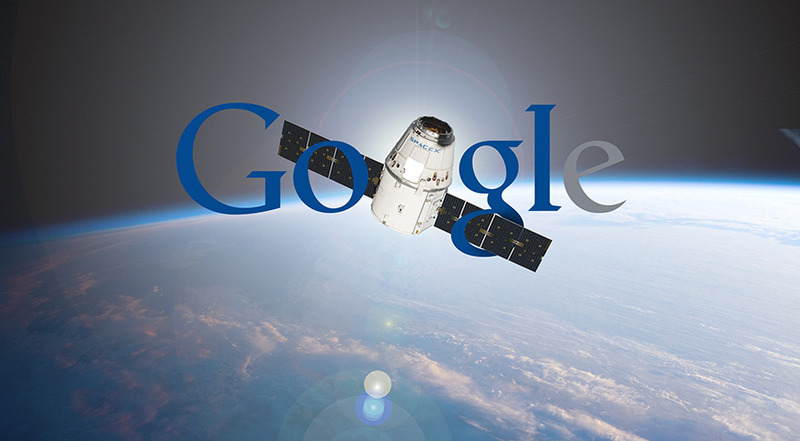 Google’s 10-K filing in fact devotes more space to Loon than to SpaceX or to Google’s $478 million cash purchase of Skybox Imaging, a company launching a constellation of Earth imaging satellites. “We expect the acquisition to keep Google Maps accurate with up-to-date imagery and, over time, improve Internet access and disaster relief,” Google said without specifying Skybox’s eventual Internet access role. The company said Project Loon goes to the core of Google’s mission of bringing Internet access to those who do not have it.